What is actually many years ago but doesn’t feel like it’s been more than 5 years ago, I was part of a wedding of a college friend. His name is Brian. Brian is a great guy. He’s an officer in the Army, he’s got 3 amazing kids, and a spectacular wife. Why do I bring Brian up? Because of his dad. You see, at that wedding, Brian’s dad David had a special gift for him. You see, upon the occasion of Brian’s birth, David had gone to the liquor store and purchased a bottle of Wild Turkey. He held on to that bottle year after year, until his son had graduated from college, got married, and then received his commission in the Army. AT the wedding, he gave Brian that bottle. So, fast forward a few years later, and my wife is about to give birth to a son. I couldn’t forget what David had done, how he had gone to the store to mark an occasion that was happening then and would happen 20 years in the future. I decided that I would to it too. So, just before the scheduled birth date, I went to the liquor store. I have never cared for Wild Turkey (oh, it’s fine, but it’s not high on my purchase list). I also thought with the explosion of craft distilling I should probably get something from Texas. Like make it a theme, you know? We’re in Texas, he’s born in Texas, the whiskey was made in Texas. 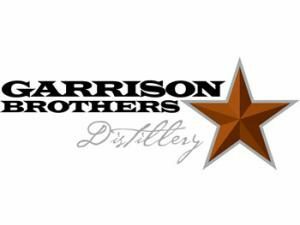 That’s when I discovered Garrison Brothers Distillery. They’re a Texas distillery. But there are two specific reasons I bring this up. You see, most small distilleries actually buy their whiskey from the big stills in Tennessee or Kentucky and have a Master Blender mix the spirits to create their specific flavor. Often the whiskey is then bottled at the source and shipped to the specific state to have a label slapped on it. In other words, it’s a Texas whiskey made from grains grown in Texas, distilled in Texas, Aged in Texas, and bottled in Texas. If you distilled Texas into a whiskey, it would taste like this. And I was like “OH, this is perfect! I can get my son who was conceived and born in Texas a whiskey that was also conceived and born in Texas! Yay!” I snatched a bottle off the shelf. Just then a helpful employee came by. I turned the bottle to look on the side. And sure enough, not only was the year it was bottled. But the type of wheat they used, what county it was grown in, the year it was harvested, the year it was distilled, they year it was aged, and the year it was bottled! This was more than perfect! It was destiny! Except there was one small problem…The process takes 4 years. So the bottle I was holding right then was from 2007. It was 2011. I would have to wait 4 years before the whiskey for my son would be available. In that time I had a second son. I moved to a new city. I set a reminder in my Google calendar. And in the Summer of 2015, it was time. I went to the nearest liquor store first. I walk in and asked if they had the newest bottles from Garrison. I went over to the bourbon shelf, and there it was! A smooth $80 later, I was the owner of a bottle of whiskey that I wasn’t going to drink for at least 16 years when I gifted it to my oldest son, The Elder Spawn. You’re totally right, I am a great dad. Because! I also swore at that moment to get a similar bottle for my other son, the Younger Spawn. I set the calendar reminders. This time we didn’t move cities so I figured it would be easier. He was born in 2013, so hit the stores in 2017. Except it didn’t work out that way. I went to the store I’d gone to before. They didn’t have any. In fact, they still had some Garrison from the year I’d bought 3 years earlier! I went to other stores. The same thing. They had bottles of Garrison available. But nothing from the year I needed. Over the course of the next year, I would locate and drive to another liquor store to see if they had the year I was looking for. I contacted the distillery. They said that the bottles had been shipped. They even gave me a list of stores that had received it in the Dallas/Fort Worth area. I drove to each one of those. Nothing. The bottles for 2013 weren’t there. I kept going to the stores. Nothing. Store after store. By now I had learned which stores were selling and which ones just dusted theirs off. But still no luck. 2017 turned into 2018. But it was looking like the destiny that had fallen on me for the Elder Spawn was in short supply for the Younger Spawn. I walked straight to the bourbon section- at this point I have kind of a sense of where that’s gonna be- and went to the G section. And there at the top shelf, helpfully turned to the side to show me the date, was a bottle of Garrison Brother’s Straight Bourbon Whiskey. Harvested in 2012. Distilled and casked in 2013. Destiny fulfilled! AND because it was a grand opening, I got 10% off. Destiny fulfilled with a savings bonus!